Keswick Mountain Rescue Team was called out about 1.35pm on Thursday to the incident at Shepherds Crag in Borrowdale. The man, who was climbing with a friend, fell about 6m on the first pitch while leading on the Little Chamonix route, injuring his leg. Five team members set off from the Keswick MRT, followed by four other rescuers and a doctor, who happened to be in the area, in a second vehicle. A team spokesperson said: “This allowed the team’s doctor, who had come to the base, to return to his surgery patients. 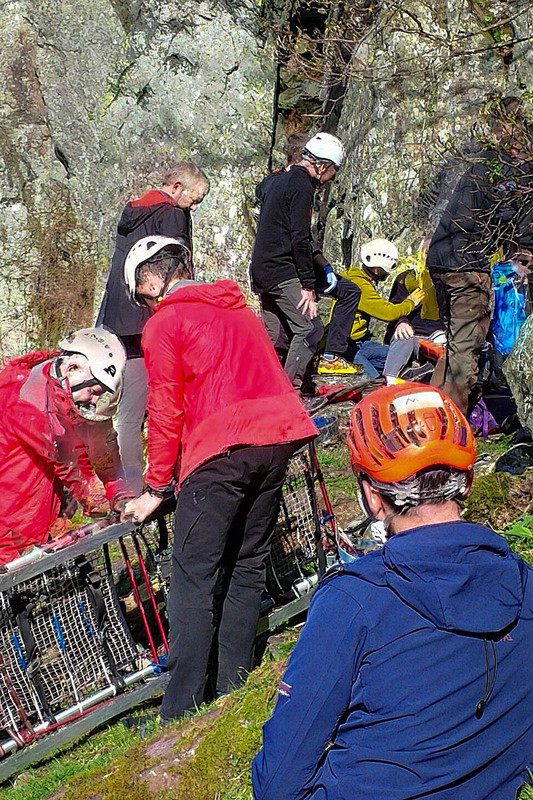 The rescue lasted two hours and involved 11 volunteers from Keswick MRT.